The legendary jazz bassist Charlie Haden and the pianist Brad Mehldau teamed up in November 2007 to perform together in the Christuskirche in Mannheim. The live recording has finally been released on Impulse. The recording has something touching. She has a deep soul, like the conversation between two especially close friends, maybe between the fatherly friend and the smart, talented boy. And the recording has something documentary at the same time. It shows an important point between the two musicians who must have appreciated each other. 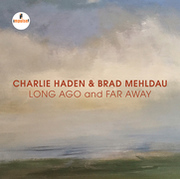 Legendary jazz bass player Charlie Haden and pianist Brad Mehldau joined forces back in November 2007 to perform together at the Christuskirche church in Mannheim, resulting in the live recording Long Ago and Far Away. After 11 years, the recording has finally been released on Impulse! Records. After meeting for the first time back in 1993, Haden found a way to bring Mehldau out to LA to perform with himself and Lee Konitz at the Jazz Bakery in 1996. This led to a trio recording on Blue Note (1997) called Alone Together. In 2011, he and Brad recorded a live album with Lee Konitz and Paul Motian for ECM called Live at Birdland. 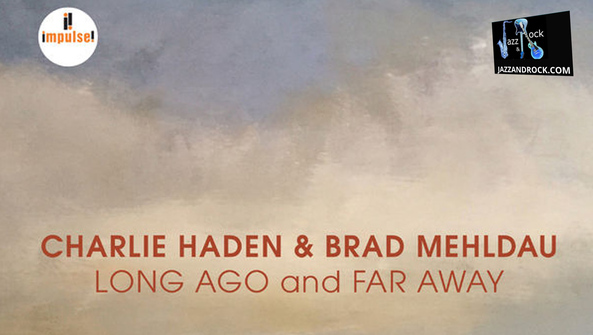 Mehldau and Haden remained friends from the time of their first meeting – they had a special connection. In the early days, Haden, in a sense, mentored this young pianist in life lessons. He would later go on to pronounce Mehldau one of the most important musicians of his generation because of his unique voice, his depth of knowledge and facility on the instrument, and how he has moved the language of jazz forward.